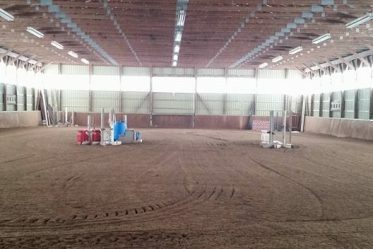 Our bright 70×140′ indoor arena features a lovely sand & leather mix dust-free footing. 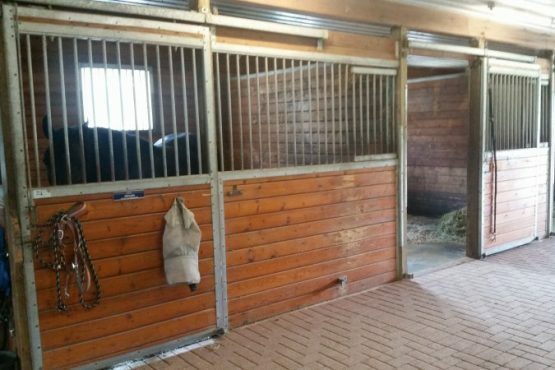 Windows open allowing for extra air flow in warmer months. The sand ring at Rivermore is a spacious 100×140′ and sits adjacent to a hilly grass area for cross country and hunter derby jump schooling. 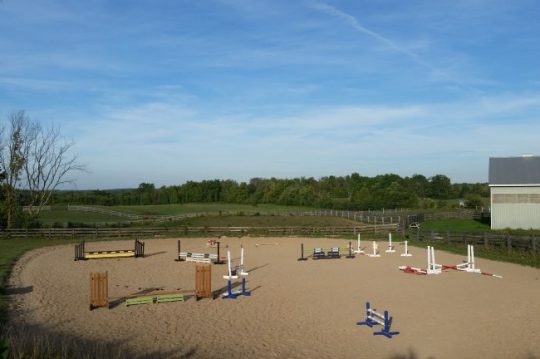 Full course of hunter and jumper style jumps available. 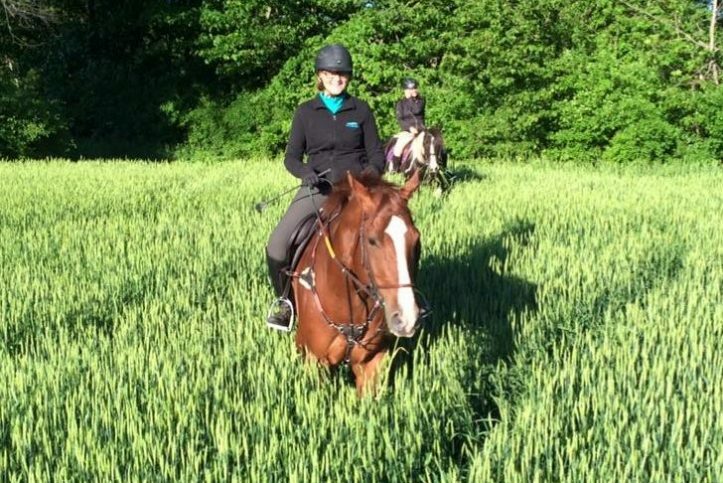 With 97 acres there are lots of gently rolling hilly fields to hack around.